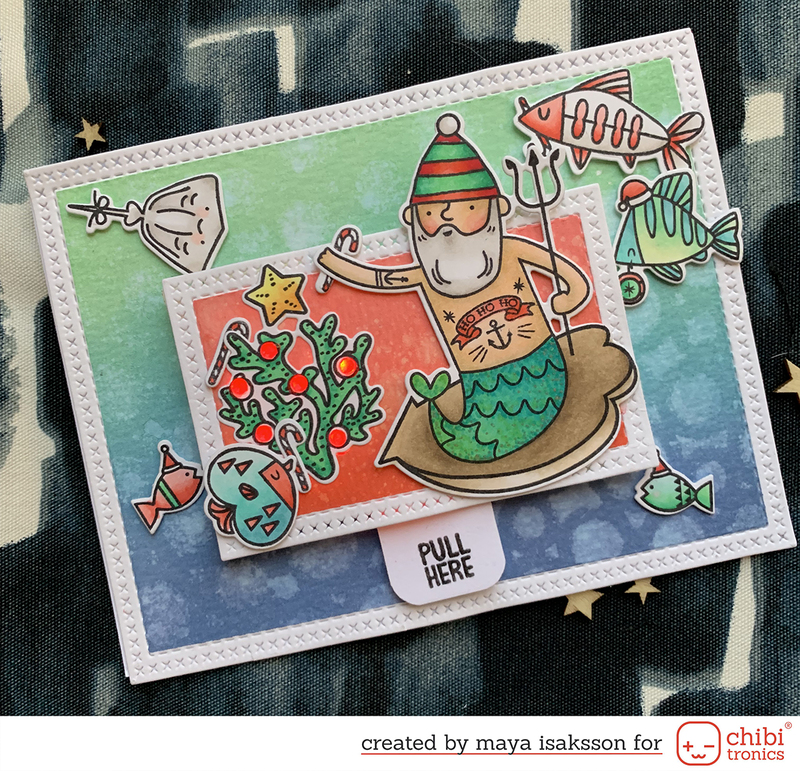 This week TPS is sponsoring Divas by Design and this weeks theme is just perfect. The theme is Tickled Pink - use LOTS of PINK! Fun, right? 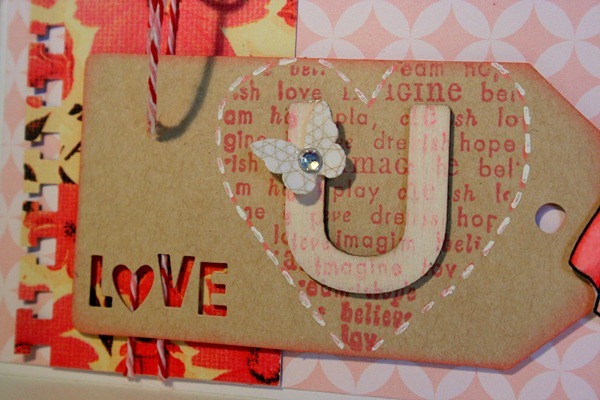 I used some papers from my first Studio Calico kit, lovely papers all of them. I paired it with ‘50s Lilith, my all time favorite I think, and this is what I came up with. The tag also came in the kit, love them. I’ll make some more like them when I get my new Cameo. 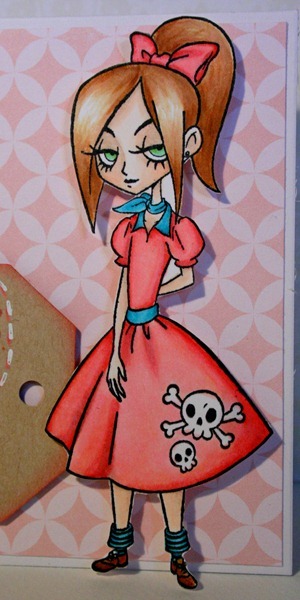 Here is a close up on Lilith, I love coloring her. 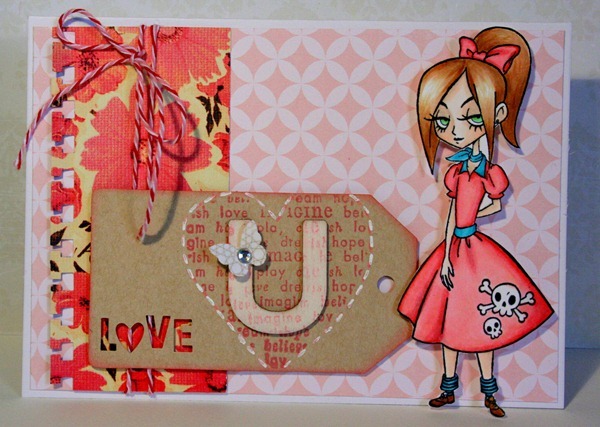 Now hop on over to the Tickled Pink Stamps blog and see all the pink loveliness from the other girls. Then go play at Divas by Design. Have fun!